LOOKATER, by Al Samer. 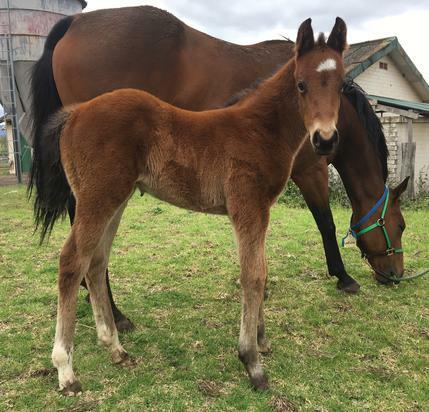 3 wins at 1200m, 2d WATC Safety Bay Bowling Club H. This is her first foal. Lookater. 3 wins. See above. Lookatim Go. 12 wins from 1200m to 1600m, A$175,130, to 2018-19 in Aust. Lookater Go. Winner at 1100m in Aust. MONET RULES (Commands). 7 wins-1 at 2-to 1300m, A$329,950, VRC Aurie's Star H., L, MVRC Brooks Run Happy H., SAJC Schweppervescence H., MRC Chatham H., Le Pine Funeral Services H., 3d MVRC Australia S., Gr.1, VRC Straight Six H., L, MRC Heath S., L, 4th MVRC Schweppes S., Gr.2. Paris Duo. 8 wins-1 at 2-to 1500m, A$133,651, AJC Jim Munro H., STC Nureyev H., Handicapped Centre H., SAJC Alberton Hotel H., 2d SAJC North East Isuzu Cup Flying H., Ealing Park H., Blackwells Funerals Prospect H.
Madam Rouge (Zoustar). 2 wins-1 at 2-at 1000m, 1200m, A$107,615, to 2018-19, ATC Australian Turf Club H., TAB 2YO H., 2d VRC Jim Beam Black S., L, 4th ATC Reginald Allen H., L.